#FREEGALLERY (2015) is a photography exhibition project by Kibwe Brathwaite that makes art accessible to anyone. It’s an experiment to subvert the traditional means of hosting an art exhibition through a conventional gallery. 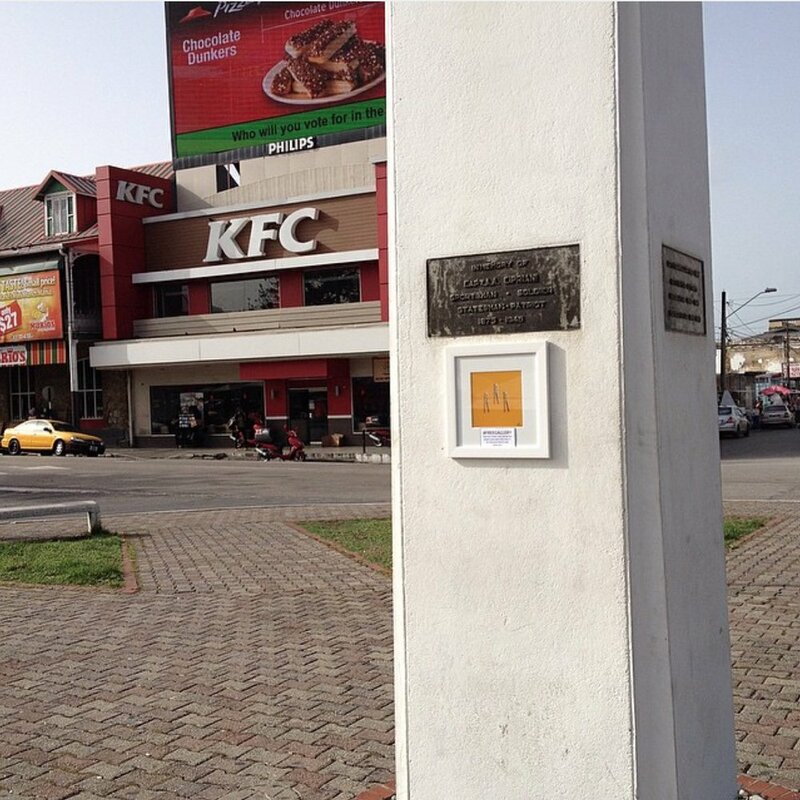 It’s also questions the ways in which we interpret and interact with public spaces in relation to art, specifically in Trinidad and Tobago. 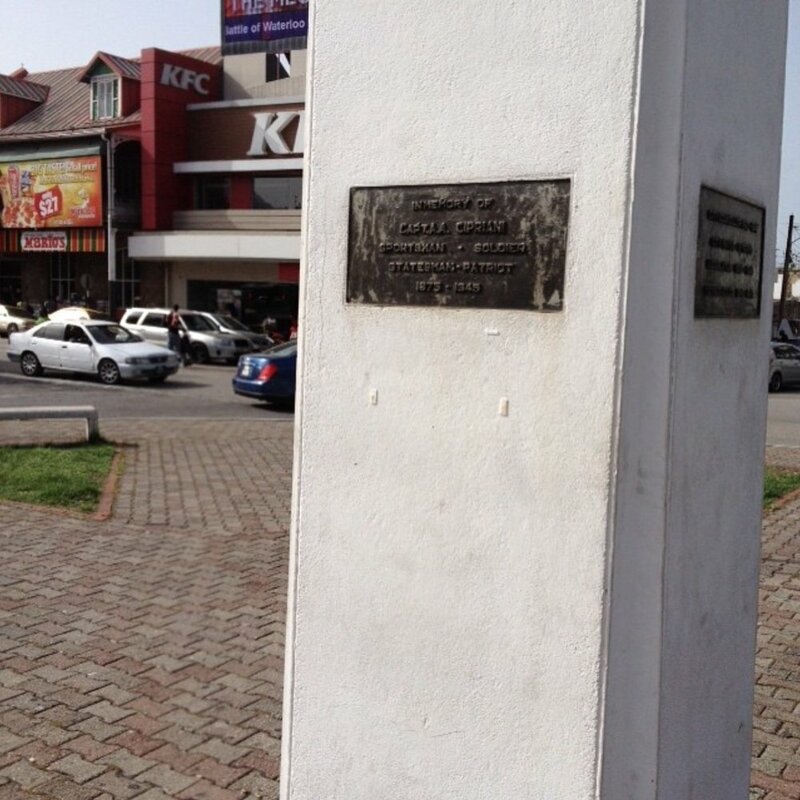 The original idea involved posting a series of conceptual framed photographs at various conspicuous public locations about the city of Port of Spain with a small printed prompt to “dismount and take it home, it’s yours… seriously”. Pedestrians displayed mixed reactions to the artwork; many stopped, inspected, and kept it moving until braver individuals helped themselves to remove the pieces from off the walls and into their possessions. The photographs show  objects that are familiar to the Trinbagonian culture. The relatively mundane-everyday-objects, ranging from fruits to laundry pins, are  photographed , suspended  in front of  flat colored surfaces. They are printed at 6x6 inch dimensions, and placed in white 2 inch matte, held in a wooden, white 2 inch frame. Reissues of selected prints are available for purchase by request.